LET'S TALK E-JUICE: A smashing comeback of Boba's Bounty and Gorilla Juice! In : News, Let's talk E-juice! 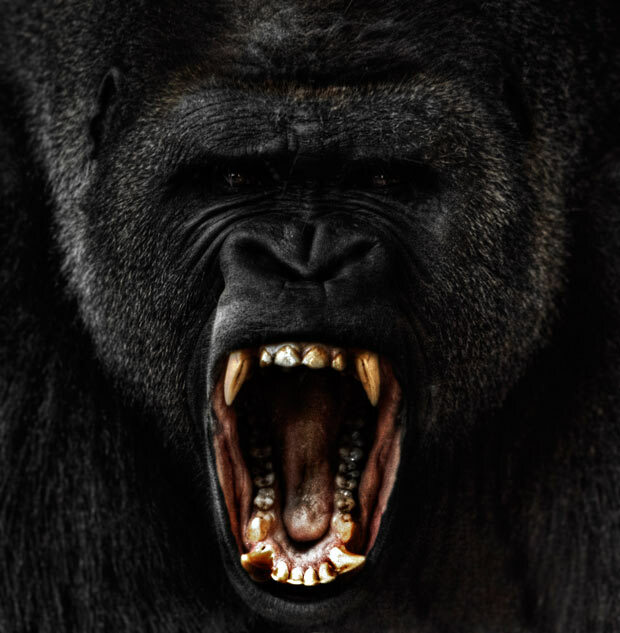 You've probably never heard of the "Flavor 39" or the "Simian Slam" ... But if you are told about " Boba's Bounty "Or" Gorilla Juice You will probably have excited taste buds thinking back to those real nuggets of the American Alien Visions. And believe it or not, these two references are finally back and say that they are still a real card! TWO REFERENCES THAT HAVE BECOME MYTHS FOR VAPOTEURS! 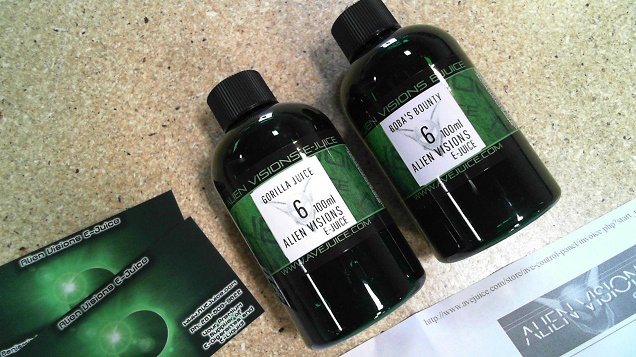 For years, the American manufacturer Alien Visions "Surfed the sales of two references in particular:" Boba's Bounty "And" Gorilla Juice So much so that it was very difficult to get them. These e-liquids? Everyone wanted to taste them and as much to tell you that by putting their finger in some became so addicted that they were ready to sell their bodies to science to get a bottle. Some time ago, the manufacturer stopped producing these two e-liquids, making many orphan vapers pass by. Then Alien Visions launched two new juices: The Flavor 39 and Simian Slam to replace these mythical references but without much success. Those who were vapers in the 2014 2016 years obviously know what we are talking about when we mention these two elixirs that are the "Boba's bounty" and "Gorilla Juice". Hours, days or weeks to wait for the arrival of a new batch in the United States then a monstrous galley to order liters by Shipito. And the love of the vapers for these two elixirs were limitless to the point that some shops practiced repackaging to make huge margins. All this to tell you that the "Boba's Bounty" and the "Gorilla Juice" are finally back and that once again there will not be for everyone! If you do not know these juices, it will inevitably taste and make your own opinion! 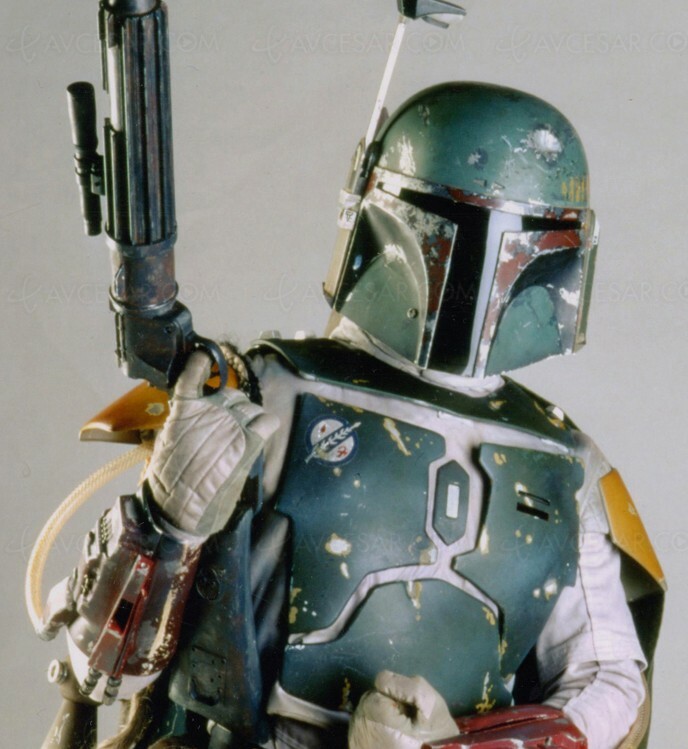 BOBA'S BOUNTY: THE BEST E-LIQUID IN THE WORLD? More than a reference, a true myth! Through the years, the Boba's Bounty is an e-liquid that has earned a special place in the heart of vapers. This extremely complex e-liquid tobacco is so unique that many consider it the best e-liquid in the world! This gourmet tobacco rich in aroma, each will find different notes ... Chocolate, caramel, coconut or spices, this juice only available in full VG (presented as 100% vegetable glycerin) is a real treat for the taste buds. Resting it will bring new flavors and you may be surprised every time you test it. GORILLA JUICE: A VARIANT OF THE BOBA'S WITH A UNIQUE BANANA! Some are more fans of Boba's Bounty, others of Gorilla Juice ... And others do not want to choose! Clearly, Gorilla Juice is a sweet and sweet evolution of Boba's Bounty. In addition to a gourmet and complex tobacco, there are calculated and unique notes of banana. Totally addictive, this e-liquid is also part of the references to taste at least once during a vaping experience. E-Liquid Review - Gizzard Juice from ... Quack's Juice Factory's Gizzard Juice is an American liquid, chocolate, vanilla, caramel. For gourmands!